These days, we all desire to look young eternally. We look for ways to stop the aging process in many remedies that were used since Ancient Egyptian times, and beyond. I remember watching TV commercials with a woman explaining how a specific cream can make you look younger. 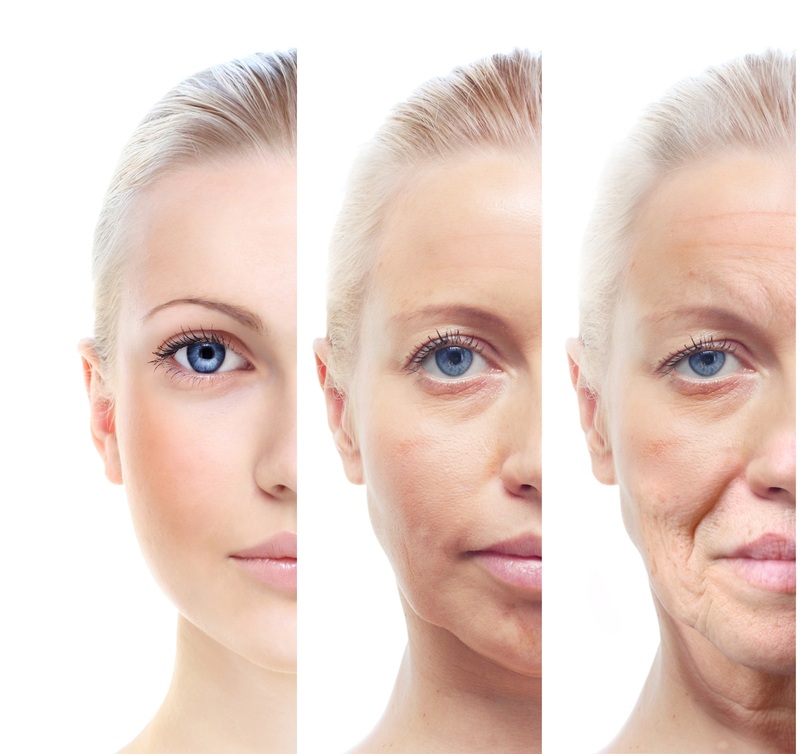 What we don’t realize today, is that stopping the clock on aging goes far beyond the surface of the skin. Our diet is a large component of how we look on the outside and the aging process. One culprit to accelerating the aging process is sugar. Sugar is in almost all the things we eat, ranging from additives in refined foods like biscuits, cakes, and soft drinks to the natural sugars found in some vegetables and fruits. Consuming high amounts of processed sugar has been correlated with an acceleration of the skin’s aging process. Sugar makes the skin look more aged than it is. So, if you want to stop the aging process, there are some things you should know about sugar. Sugar reacts with proteins in the body in a process known as glycation. Collagen and elastin are the skin’s building blocks and they are protein in nature so during glycation, Advanced Glycation End Products are formed. These products can result in hardening of cell structures and wrinkling of the skin. They also hasten diabetes, cause dark under-eye circles, and several complications to the blood stream and your organs. We are supposed to make sure our bodily levels of human growth hormone are high, and glucose represses growth hormone levels. Human growth hormone usually helps to manage heart function, fat metabolism, bone growth, muscle growth, and body composition. If these things are not regulated, you may feel older and look older. So, you will feel the need to stop the aging process. Inflammation has been linked to a diet with high GI foods and it can result in the breakdown of cells, the reduced elasticity of the skin, and broken capillaries. These effects can hasten the aging process. Whenever you eat sugar, the pancreas releases insulin to help in storage of the sugar in the cells for subsequent use. Advanced products of glycation from elevated sugar intake result in inflammation and cell damage. You could develop a resistance to insulin and eventually type 2 diabetes. The main indications of insulin resistance include skin tags, particularly on the neck and dark patches on the back of the neck and the underarms. Individuals with diabetes have been shown to have a reduced immunity as well. Sugar, refined sugar at that, is mostly found in unhealthy processed foods and when we consume these unhealthy sugary foods, we are depriving our bodies of crucial minerals and vitamins. Have you ever noticed that when you eat a sweet snack with sugar, you crave more after finishing the snack? It’s because your body is still craving the much-needed minerals and vitamins it did not get from the sugary snack. Minerals and vitamins are essential for keeping up a youthful complexion. Advanced glycation products make the skin more exposed to the effects of free radicals, which damage skin cells resulting in skin that is less radiant and wrinkled. Giving you more reason to find ways to stop the aging process. Carbonated sugars like those found in soft drinks can increase osteoporosis significantly, which is another condition that results in premature aging and weakening of the bones. Ideally, any sugars we take in should come from natural food such as fruits and whole grains. Essentially, we should not eat any processed or refined sugars. Here are tips on slowing down the aging process in terms of diet. – Reduce your intake of processed sugar and eliminate it from your diet by cutting out sugary junk food and soft drinks. By practicing the above tips, you can be well on your way to slowing down the aging process and promoting better health! What are alternative ways you’ve used to eliminate processed and refined sugar from your diet? Please let us know! GET HEALTH AND WELLNESS TIPS!